When Mark Whitley began working for Shell Oil Company in 1975, he was sent to a fracturing job on the McAllen Ranch in south Texas. Since that day, Whitley has become widely known for revolutionizing the energy industry by the application of fracturing technology (popularly known as fracing or fracking) to shale formations across the United States. After receiving his bachelor’s degree in chemical engineering from Worcester Polytechnic Institute in Worcester, Mass., Whitley desired to remain in New England; however, a crippling recession made employment prospects in that region unlikely. While Whitley had not looked into graduate studies, after a discussion with friends, he applied for and received a coal fellowship from the University of Kentucky. He arrived in Lexington in 1973 and conducted research on desulfurizing coal gas, while earning a master’s degree in chemical engineering. gained his first exposure to fracturing. In 1982, Whitley took an engineering position with Mitchell Energy Corporation. From his experience with Shell, Whitley brought his knowledge of reserve estimation, which determines how much oil and gas will be recovered from the ground, with him to Mitchell. As he worked his way up Mitchell’s engineering and management ranks, Whitley moved to Fort Worth, Texas in 1997, where he led the engineering team that perfected the use of slick water fracs used to develop oil and gas in the Barnett Shale. Whitley left Mitchell, then Devon, in 2002 and began assisting other companies in acquiring Barnett Shale assets. He joined Range Resources in 2005 to start its Barnett Shale activity as well as evaluate and develop the Marcellus Shale, which has become the largest producing shale field in the world. Whitley left Range in 2012 and began working with the private equity firm Warburg Pincus, serving on the boards of three of its start-up companies. He is currently president and chief executive officer of Chisholm Energy Holdings, a new startup company headquartered in Fort Worth. Throughout his life, Whitley has been an active singer, participating in several choirs including the Lexington Singers, the New Orleans Concert Choir, the Woodlands United Methodist Church Choir and the Rayne Memorial Choir. 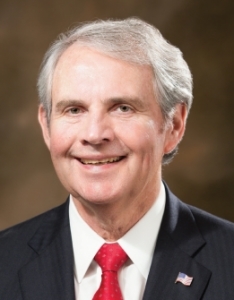 He has served as board member and advisory committee member of the Fort Worth Petroleum Club, president of the Fort Worth Wildcatters Club and is a lifetime member of the Society of Petroleum Engineers. Whitley resides in Fort Worth, Texas with his wife, Janice. They have two children and one grandchild.